A plastic radial ball bearing is used in outdoor applications, such as traffic signal control boxes, because it can run without lubrication, and will not rust. It can operate in environments with challenges of humidity, rain, snow, and hot or cold climates without lubrication failures or corrosion. 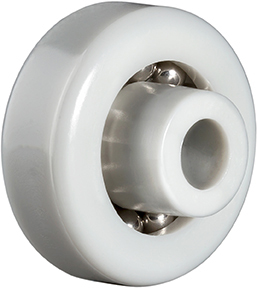 Critical design features: Acetal POM plastic races fitted with 316 stainless balls. Bearing construction features True Race Technology™ ball grooves, and full complement bearing construction for optimum load capability. Lower friction: A plastic race bearing will naturally have a lower coefficient of friction than a metal to metal ball bearing. A KMS bearing is designed to tolerate suspended particles without clogging. 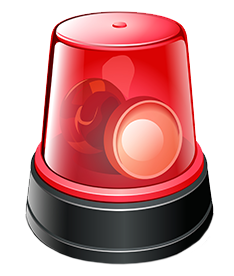 This reduces required maintenance on your product. A KMS plastic bearing can be designed with special shapes or profiles to better suit your application. It will provide ease of assembly and improved life and performance of your product. 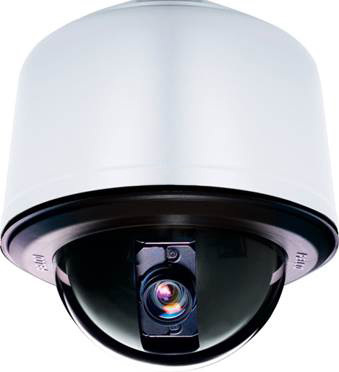 Plastic radial or 4 point contact ball bearing assemblies are used in Pan and Tilt Security Camera applications. They are designed to be maintenance free and operate without lubrication allowing them to be non-contaminating to electronics while surviving the application challenges of humidity, rain, snow, and hot or cold climates. 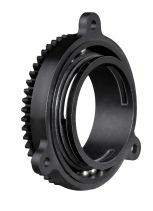 Plastic race bearings improve the performance and capabilities over the conventional steel bearings while providing a substantial cost savings. Critical Design features: Acetal POM plastic races fitted with 316 stainless balls. Features a single or double row or 4 point contact True Race Technology™ ball groove construction for optimum load, stiffness, and moment loading capability. Low friction: A plastic race bearing will naturally have a lower coefficient of friction than a metal to metal ball bearing. A reduction in cost can then be achieved by utilizing a smaller motor. Weight Savings: A KMS plastic ball bearing is 1/5 the weight of a steel bearing thereby reducing the weight of your overall unit. 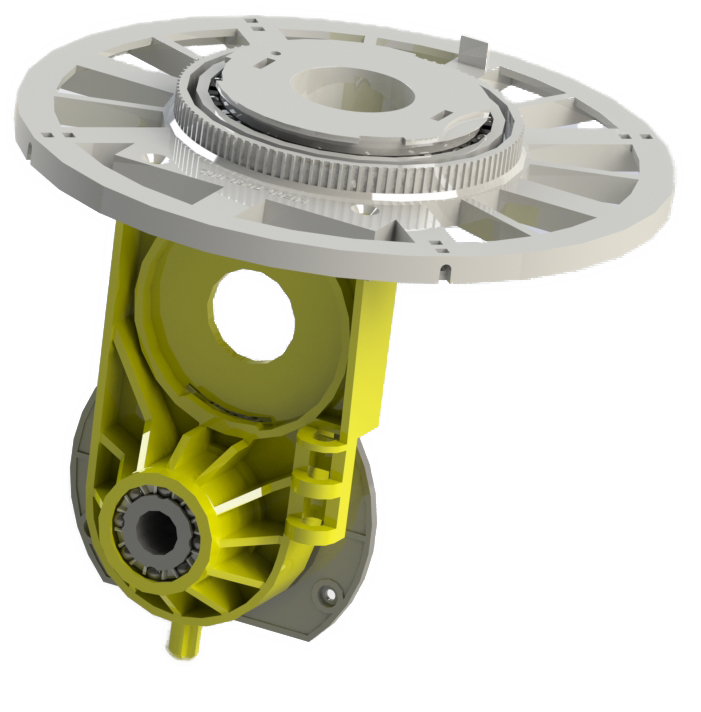 Value added capability: A KMS plastic bearing can be designed to include mounting features, gears, or pulleys, and can also be integrated to the application at no added cost to the bearing. 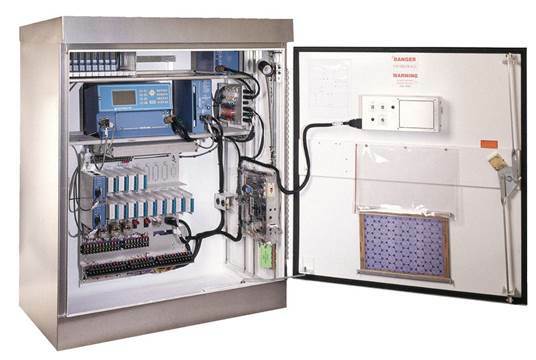 This capability can reduce assembly time while improving the performance of your product. Plastic radial or 4 point contact ball bearing assemblies are used in Rotary Beacon light applications. They are designed to be maintenance free and operate without lubrication allowing them to be non-contaminating to electronics while surviving the application challenges of humidity, rain, snow, and hot or cold climates. Plastic race bearings improved the performance and capabilities over the conventional steel bearings while providing a substantial cost savings.